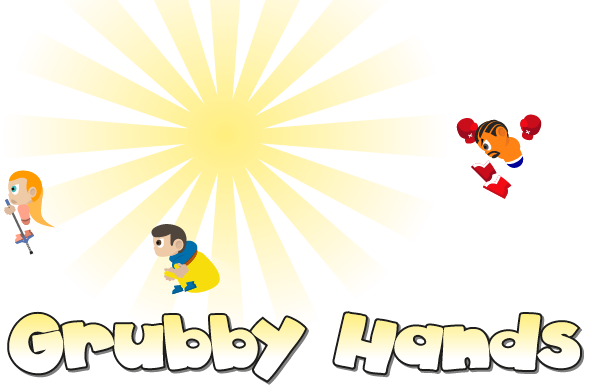 Grubby Hands is an independent games company based in the UK. We love making those games that you love to play! Thank you for the support. We've just sent our new game 'Fat Bird!' off to Apple. When it's released, it will be available here. We've just released David Haye's Jungle Rumble, which has punched its way to the top of the AppStore charts! Our previous title, David Haye's Knockout, also toppled the charts earlier in 2012. #1 Sports Game, #1 Arcade Game, #1 Game and #2 App! We're happy that so many people are still loving our first game, Boy Loves Girl! We're now busy making more awesomeness on the iPhone, iPod touch and iPad. Follow us on Twitter and Facebook to get the latest updates. This game allows David Haye fans to take control of the former Heavy Weight Champion and apply the noble and gentlemanly art of boxing to the faces of some jungle inhabitants! Will you become a Jungle Rumble champion? You will have the chance to win some signed Hayemaker merchandise and a personal training session with David! ✔ GOLD champion is the best player of all time! ✔ SILVER champion is the best player of the week! ✔ BRONZE champion is the best player of the day! The former World Heavyweight Champion, David ‘The Hayemaker’ Haye is ferocious and fiercely hell-bent on obliterating his new opponents. Taking no prisoners, this game is fast, ruthlessly bloody and action-packed. CNN "similar to Mike Tyson: Punch Out!" The Mirror "The game is all about how quickly you can knock out the big guy!" The Sun "David designed the game to show tactics needed to beat someone like Wladimir. He will be wound up by it." The Guardian "David Haye unrepentant on iPhone app that knocks opponent's head off." The Mail "the iPhone app in which an Eastern European giant is decapitated in the game by the Hayemaker." The Express "DAVID HAYE'S GORY GAME CAN MAKE KLITSCHKO LOSE HIS HEAD!" Boxing Scene "few people can beat David Haye's score!" Sky Sport "App-y days: the Hayemaker game is a knockout." Follow a young boy’s journey as he encounters one of life’s greatest mysteries . . . how to please a woman. Unhappy with the myth that a woman is never happy, Boy embarks on an epic adventure across vast lands in search for the ultimate gift to express his love for the girl his heart desires. In the chivalrous journey of unrequited love, Boy must brave the evil elements, voyage across foreign lands, gather adorable animals, collect stars in the sky, save smiles and even carry the moon on a string, to win the heart of the hard to please girl!